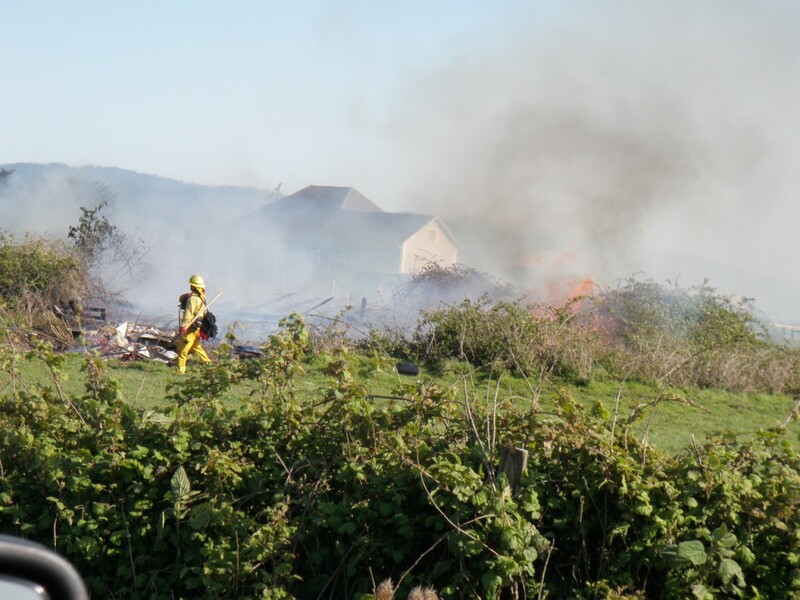 ARCATA BOTTOM – Arcata Fire District personnel responded to a report of a vegetation fire in the area of Foster Avenue at Dolly Varden Road in Arcata just after 5 p.m. on Wednesday, April 24. Firefighters arrived and found a large area of brush and debris burning near Foster Avenue. They began extinguishing the fire with a hoselay over the fence and into the pasture area. While firefighters were extinguishing the brush fire, a shed on a nearby property caught fire and threatened the adjacent house. 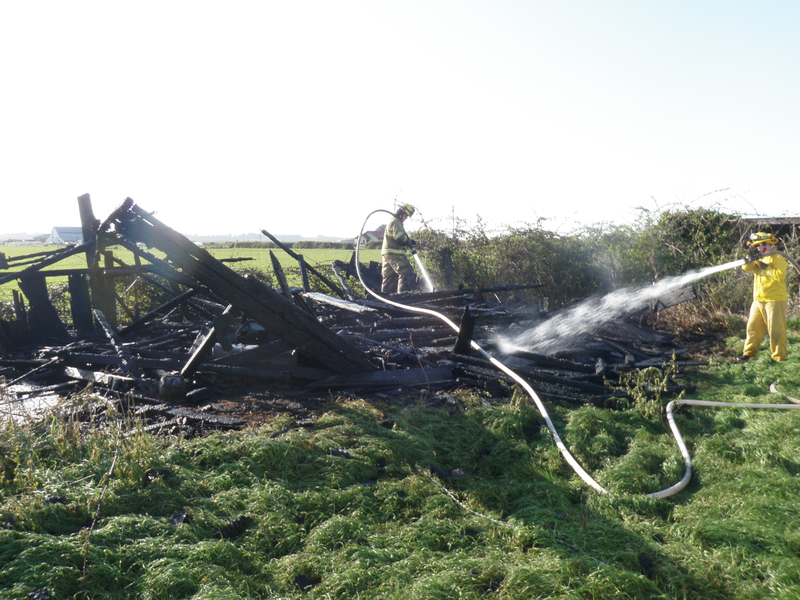 Quick action by firefighters kept the fire from spreading beyond the shed, which was destroyed. There is no damage estimate for the destroyed shed. Residents told the firefighters that it was an abandoned and rotten shed that they hadn’t been inside in 7 or 8 years. Investigators believe that the brush fire was a result of an unattended control burn. Thirteen Arcata firefighters responded to the fire along with four personnel from Humboldt Bay Fire. Arcata Fire reminds everyone to use caution when conducting debris burns. Follow all the rules outlined on your permit and be sure that the fire is completely out before you leave the area. This entry was posted on Thursday, April 25th, 2013 at 6:39 pm	and is filed under News. You can follow any responses to this entry through the RSS 2.0 feed.